Eric Bergman provides the vast majority of training, but has a number of experienced, industry-accredited consultants he can bring in for large projects or specific client assignments. Eric coached his first spokespeople during the summer of 1981 while conducting a media relations campaign to promote two student theatre productions, Pal Joey and A Funny Thing Happened on the Way to the Forum. 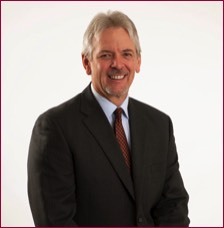 Today, he is Canada's most experienced and credentialed media training consultant. Eric developed his proprietary media training program, At Ease With the Media, in the early 1990s. What sets this program apart and makes it effective is its focus on providing spokespeople with a range of tools. Likewise, At Ease With the Media doesn’t provide spokespeople with a false sense of security that they can control the interview. In a modern world where anyone with a smartphone and a Facebook account can be a journalist, Eric realizes that the only thing spokespeople can control is what they say. The first skill he teaches, therefore, is how, when and why to stop talking when a question is answered. 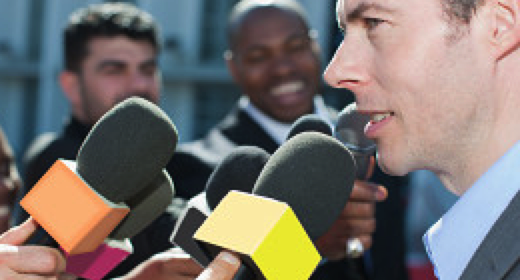 At Ease With the Media is the global leader at providing spokespeople with the skills to manage exchanges with journalists to win-win outcomes. On one side, spokespeople first learn to answer questions clearly and concisely wherever possible to help journalists develop factually correct stories that can be filed on time. At the same time, spokespeople learn to use media interviews to support business and communication objectives—to influence the attitudes, opinions and behaviour of specifically-identifiable audiences important to the organization's success. Unlike the message-driven alternative, this is a highly strategic approach. Thousands of spokespeople from six continents in the private, public, corporate, professional, entrepreneurial and not-for-profit sectors have benefited from Eric’s approach, coaching and feedback. If you're interested in learning more about how this proven approach can help your spokespeople be more strategic and effective, please contact Eric directly.